In just three months we will be celebrating Ephraim’s fourth anniversary of being a part of our family. I have no idea how time has gone so quickly. How is he not still that chubby one and a half year old who refused to say anything other than “Mama”? Honestly, there are some days where I forget that he is adopted but then I see his cheeky smile and how positive and happy he is and it hits me; he has someone else’s genes, while that smile is meant for me, he probably inherited it from one of his birth parents. At that point I’m usually overwhelmed by a sense of gratitude that I get to be the one this boy calls Mama even though he now says a lot more words. 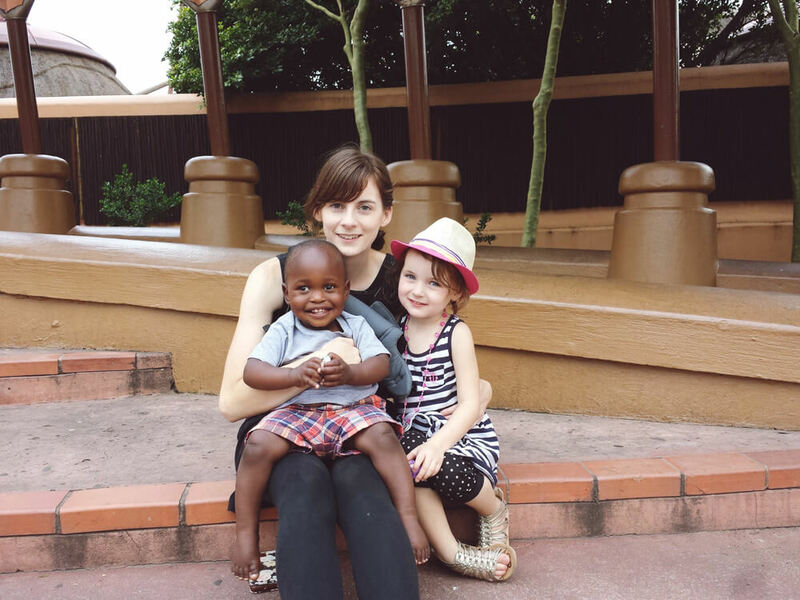 I recently realized that while I had blogged through the adoption process I never took the time to sit down and write it all out after it was over. And while sharing about it while going through the process has it’s benefits, there is something different about being able to look back on the journey. It’s a lot easier to see God’s hand at work when you aren’t currently being stone walled by adoption agency after adoption agency. 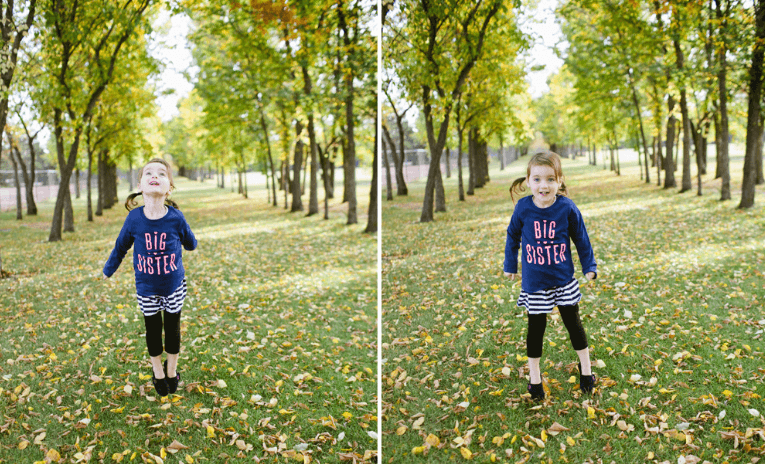 So, this post is to serve as our adoption story. 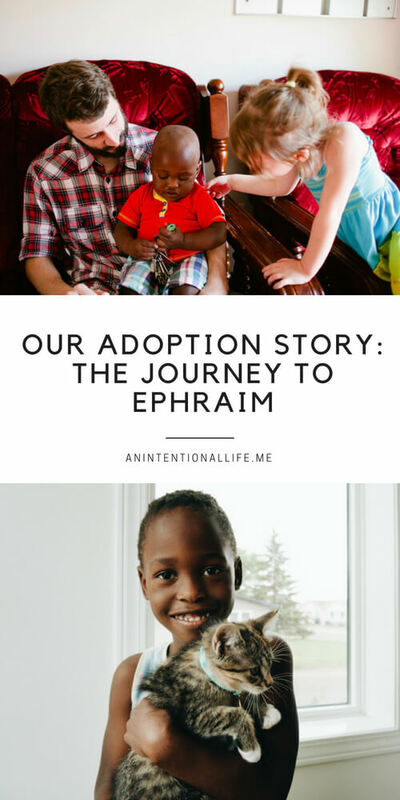 I’ve titled it Our Adoption Story – The Journey to Ephraim as opposed to Ephraim’s Adoption Story because this is not from his point of view at all. The choice of words is deliberate. Since it’s been seven years since we started this journey *jaw drop* I’m glad I kept a timeline of the adoption process, I’ll definitely be using that as I write this post out. In addition, you can check out all the adoption posts I’ve written here. This story actually starts back when I was a teenager (yeah, it’s going to be a long one). As early as 14 or 15 I remember experiencing a lot of stomach pain (which I never told anyone about), when I was 30 I would end up finding out that I have Crohn’s disease and so that was the cause of the pain, but I did not know that then. I just remember telling God that I was okay with never having biological children, I knew I wanted to adopt and having biological children wasn’t a priority for me. Fast forward another few years to 2010 and I had been married to this witty guy for a few years when we were blessed with an adorable and strong willed little girl, Raeca. Within the the first few months after her birth we discovered she had what I guess would be considered a birth defect, she had saggital craniosynostosis, which means the soft spot on the top of her head grew closed too soon so her head was only growing lengthwise instead of round. I’ve shared a number of posts on this and the surgery she had where the surgeon cut open and removed a piece of her skull to reopen the soft spot and also flatted the back of her head which had grown quite long, you can read all those posts here. Raeca first saw the neurosurgeon when she was 5 months old and we spent the next few months getting some testing done before deciding to do the surgery. 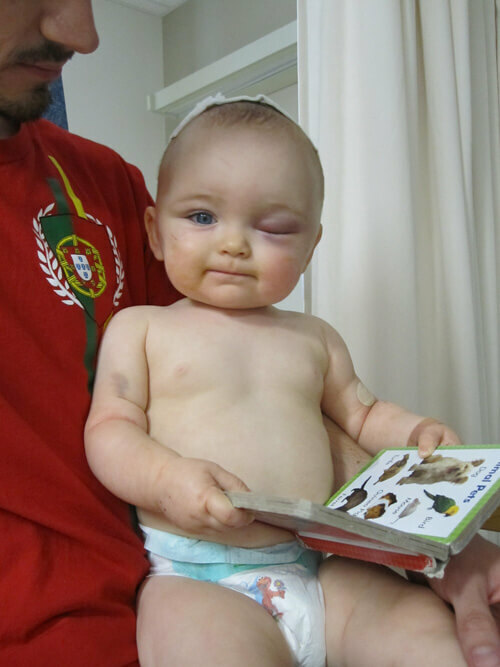 Her surgery occurred when she was 9 months old and it didn’t take long post-op for her to be back to her normal self. While we were in the process of figuring out Raeca’s medical stuff we made the decision to wait on baby #2, there was a lot going on already and adding pregnancy/another baby into the mix just felt too overwhelming. Shortly around the time that Raeca had her surgery I started finding some ladies online who were going through the adoption process. I spent hours reading their blogs and kept reading snippets to Jared. We hadn’t talked about adoption much in the previous few years but we made the decision to start the process when Raeca turned one. So, a month after her first birthday, November 2011, we filled out the application we needed to fill out in our province to get the ball rolling. We did a little bit of adoption agency research at this time but there were a number of local people we knew about (but didn’t really know) who had all used the same agency so we applied for that one and were accepted into their Ethiopia program! We had officially started our adoption journey! The high was short lived though, the next month we found out that our adoption agency had gone bankrupt. The case worker we had been assigned to was let go and since we were so new to the agency she didn’t even have us on her list so the agency didn’t even notify us to let us know, we found out after trying to reach out to them because we hadn’t heard anything from them after our initial acceptance. Our first road block in the adoption journey. December 2011 and January 2012 included a lot of adoption agency research. Our province does not have any adoption agencies so we can work with any other agency as long as they are Hague accredited. Curious about Hague accreditation? 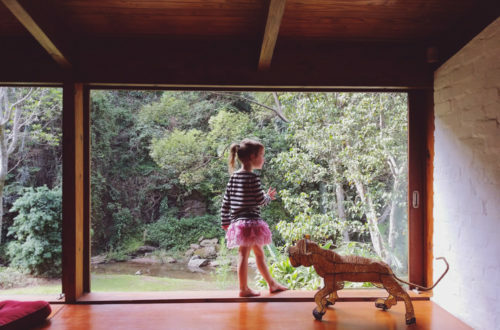 It signifies that the adoption agency meets the standards in the Convention, the Intercountry Adoption Act, and the Universal Accreditation Act. From my understand this was all put in place to ensure ethical adoption practices. So, we started really digging into adoption agencies, and specific country programs we looked at ones throughout Canada and the United States. Other than Hague accreditation we also needed to make sure the agency would work with us and that we met the requirements of the country program we wanted to enter. Some agencies were not willing to work with couples outside of their own province or country so that ruled quite a few out for us. We also crossed off a number of different countries as options generally because we were either too young or because we didn’t have infertility problems. 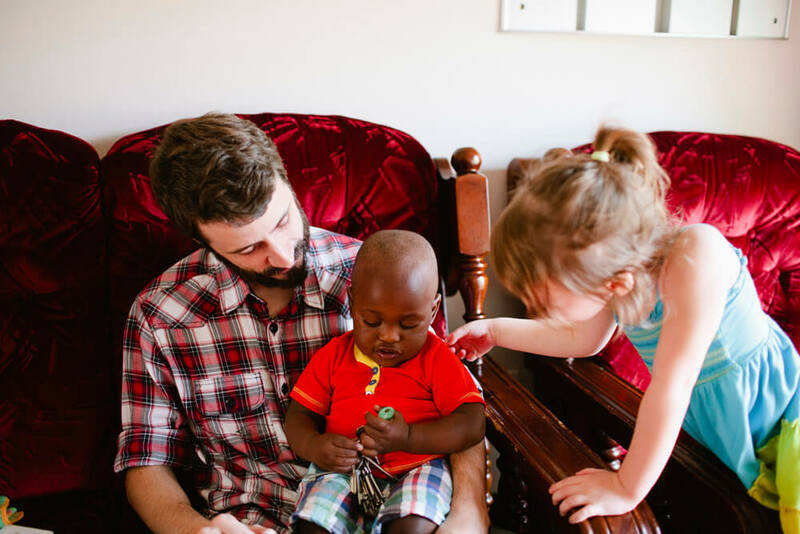 We took a short break from adoption agency research and spent February 2012 in Uganda visiting my cousin and his wife who were missionaries. We had a great time and I remember thinking how at home Jared and Raeca seemed there. We spent less than a week at home and then went to California because Jared had a work conference there. And if you are from a the frozen tundra you take any chance of escape you have in the winter. The week after we got back from California we sent off our application to the amazing adoption agency and exactly a week later we were accepted! We were back on track! Over the next few weeks we told our family and friends that we were adopting. They were mostly surprised but supportive. Adoption wasn’t a very big thing in our community and generally the few that had adopted did so because of infertility. The next few months involved doing all the paperwork things that come along with an adoption; local criminal record checks, interpool criminal record checks, medical exams, home study reports, immigration pre-approval, etc, etc. It all went into one big file called a dossier. Once we had everything completed we sent a payment and the files to our agency where they translated the entire dossier into French (the language of the DRC) and then forwarded it on to the DRC. Over the next few months it was a lot of waiting. Our dossier made it to the DRC and we were officially waiting for a referral. We recieved our immigration pre-approval in the mail, did some online adoption training courses and just waited. At the beginning of 2013 we started thinking about changing our age range of acceptance and started speaking more with our social worker who did our home study. She ended up connecting us with another couple who was also working with the same adoption agency and we started hearing some concerns about the agency. A few emails also went out from the agency around that time that were some pretty big red flags. Based on the information we had we decided that rather than approaching the agency we would just terminate our contract with them. In the process we lost about $10,000 but that was better than the alternative; always wondering if our adoption was ethical. Pretty much while we were terminating all of that we signed up with a different agency out of the US, also with the DRC program. We were pre-approved via email and sent in the physical application. I don’t remember if we officially were accepted or not but just a couple of weeks later they phoned and told us that they foresaw the DRC closing to Canada (or Canada closing to the DRC? The details are a little fuzzy now. ), so the door was also shut on adoption agency number three. April 2013 was a pretty low point. I felt like we had exhausted all our options but I still had this huge desire to adopt. We ended up putting things on hold for a few months, not really on purpose, just due to lack of options and some burn out. In July of the same year (2013) I started looking some agencies and programs up. The next month, August, I had coffee with a new friend. I had met her through the adoption world and she was telling me a little about the agency and program they had signed up with. Everything she told me about sounded really good. I had previously tried to contact this agency via email and they never got back to me, plus the program that we were semi-interested in, South Africa, was actually on hold at the moment and so it didn’t seem like the best option. From our experience to this point often when programs are put on hold they don’t end up opening back up. But this friend told us that the program had just opened up again so I decided to look into it. This time I called the agency and I got through to someone right away. A lot of what she told us checked a lot of our *adoption wishes* boxes: children were usually 18 months or older (call me weird but the newborn and baby stage is not my favorite), families usually travelling within six weeks (none of this waiting for years with infrequent photo updates), families only make one trip (none of this going to see them and then having to go home to wait for a court date while you know your child is sleeping in an orphanage), and the time in the country was usually six weeks while you wait for the paperwork to be completed (perfect for bonding, plus being in a new country!). An interesting feature for this program was that they didn’t give our referrals in order of acceptance, once your paperwork was in they put you in the “pool” of waiting families and then as a child was available for adoption the in-country worker looked through all the families and chose which one she thought would be best suited for that child. It was completely unlike anything we’d ever heard of before. So, in August (2013) we applied for adoption agency #4. On September 10, 2013 we were accepted into the program and started working on our dossier once again. It took us a few months but we updated all our paperwork and sent our dossier in October. 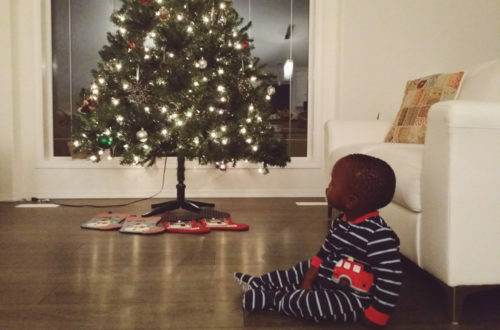 Unfortunately, the timing was awful because it first had to go to our provincial social services and the one person they had working with international adoptions was on holidays for an entire month. So our paperwork just sat there. Our agency finally received our dossier in December but because of Christmas things didn’t go anywhere. 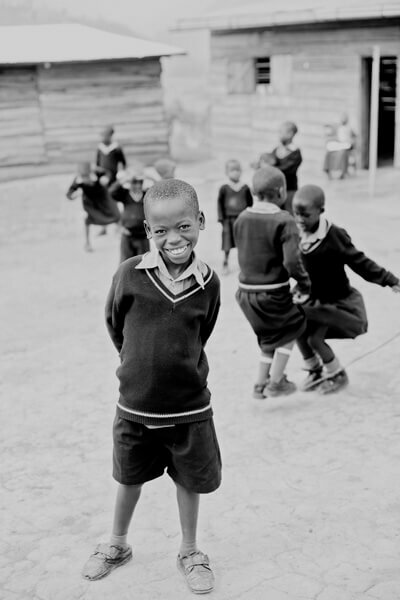 Twenty-fourteen dawned with better news, our dossier reached South Africa in January! At that point there were 15 families in the “pool” waiting for referrals. In February and March we updated our medical paperwork and then it was just waiting around . . .
Then, on September 19, 2014, one year and nine days from being accepted into to program, we got the call! I don’t even remember if I knew that we would get the call from our provincial case worker and not our agency. I do know that I had been expecting to get the call, I had not been expecting Jared to get the call. So when Jared called me from work one afternoon I figured something was up because he never phones but I didn’t think it was about a referral! Our case worker was going to email us details and pictures (!!!) so Jared left work early and came home so we could look at the email together. After nearly three years in the adoption process we finally got to see the face of the little boy we would call our son. We got our referral on Friday and spent the weekend telling our families then on the Monday we officially accepted the referral. It was happening! 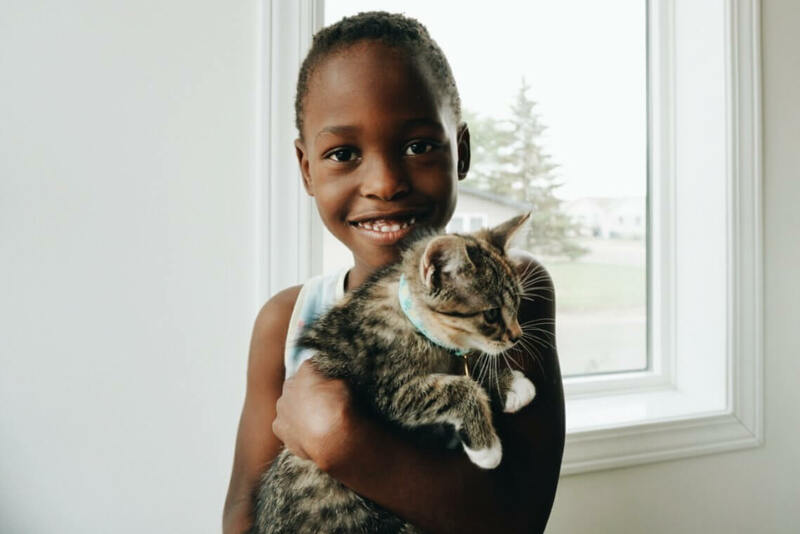 One thing that appeared to be a downside in the moment but actually ended up being a blessing was that the in-country adoption worker was coming to Canada in a couple of weeks. It was great because we could meet her before going over but it meant that instead of travelling six weeks after our referral it would be eight weeks. When I write that now it doesn’t seem like a huge deal, it’s only two weeks difference, but when those two weeks keep you apart from your child, it’s a huge deal. We didn’t spend those eight weeks just waiting around though, just the month before (August) we moved into a rental for six weeks while our house was finished being built so a week and a half after our referral we moved into our new home. Then on October 2nd, Raeca’s fourth birthday, we travelling to a city three hours away to meet the in-country adoption worker. After that we had a number of paperwork that needed to be updated before traveling. Our updated fingerprints actually ended up getting lost in the mail and so that involved many phone calls and trying to get things figured out. This is where those two extra weeks we actually a blessing. 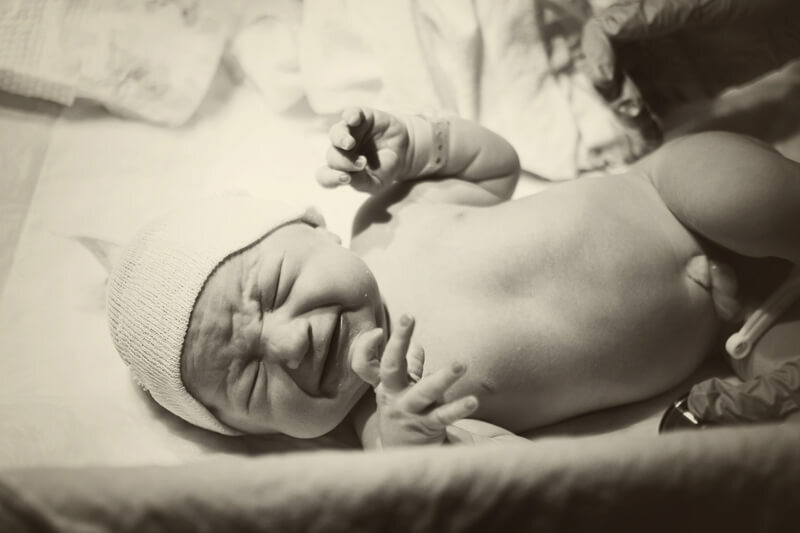 During these weeks of waiting we got one updated photo, the intention was to show us the severity of Ephraim’s wandering eyes but I didn’t care, I was just excited to see another photo of my little boy! We put this picture in a frame and I remember Raeca setting it down on the table next to her one morning and “eating breakfast with my brother”. 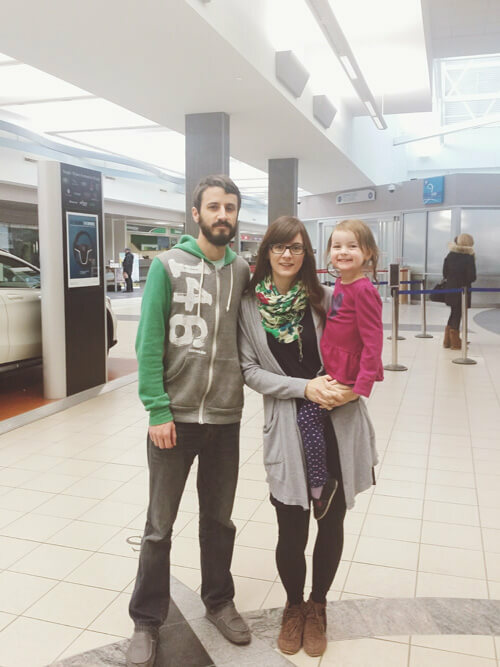 Then on November 12th, 2014 we flew out of Saskatchewan and took a 30-ish hour journey to South Africa! 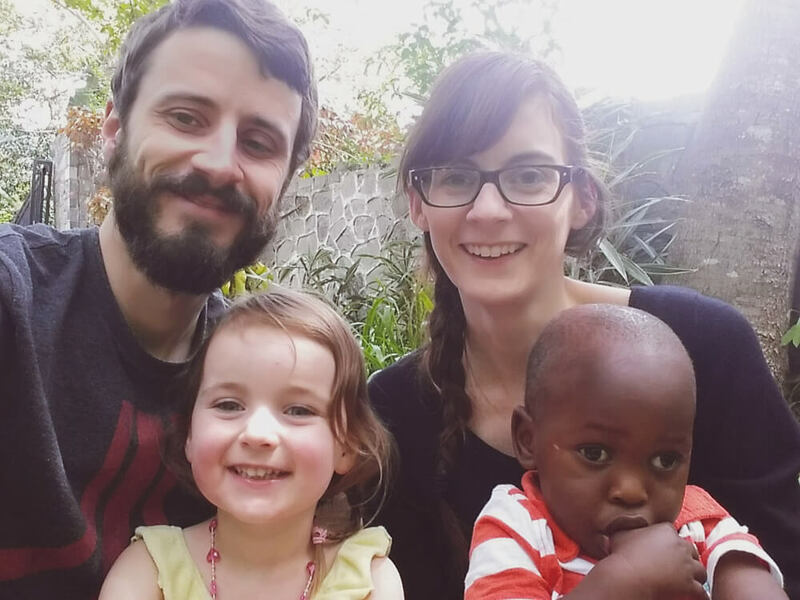 We arrived in Durban, South Africa in the afternoon of the 13th and then in the morning of the 14th a jet lagged Jared drove us four hours (on the opposite side of the road) to the city where we would meet Ephraim! 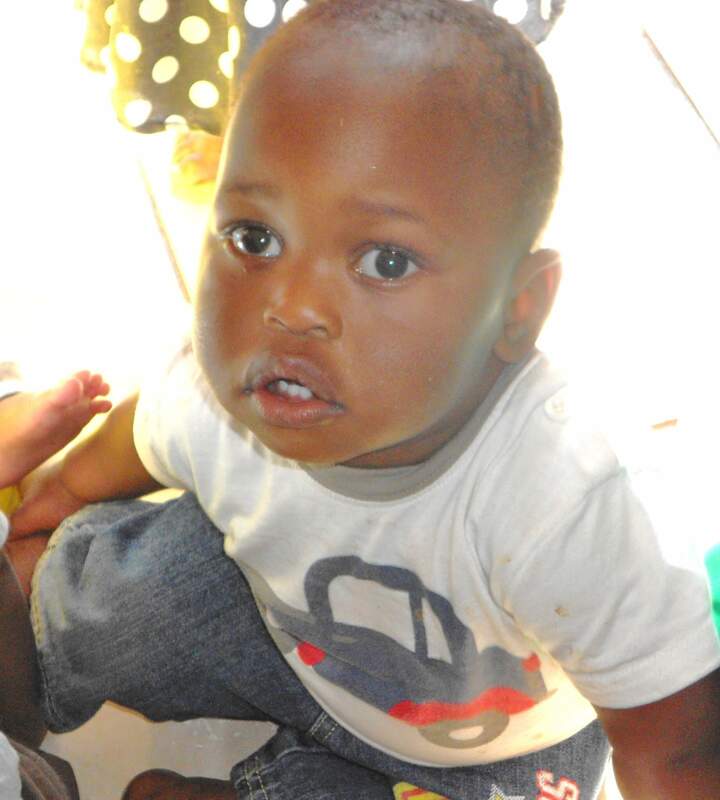 We were told by the in-country worker that we would wait until she arrived and then we would sit on the floor and they would bring Ephraim in and we would wait for him to come to us and we could play with him that way, with the initiation on his end. Well, apparently she didn’t relay this information to the ladies that worked at the children’s home because we got their before our social worker and the ladies woke Ephraim up, thrust him into our arms and then handed us his lunch for us to feed him. Ha, I think the poor boy was a little shocked. I think we all were! We spent that day at the home, playing with him, just getting to know him. He was so quiet we wondered if we had the right boy. The word we had been given that described him was “lively”. This was not a lively child. The next day was Sunday and we took Ephraim back to our B&B for the day and just hung out. Raeca was pretty much the only person that could get a smile out of him, she could even get him to giggle. We played cars with him and he fell asleep in my arms. Then we took him back to the children’s home for night. We did have the option of keeping him with us for night but we were heading to court the next morning and we thought that messing up his schedule and routine right before court wouldn’t be a good thing. 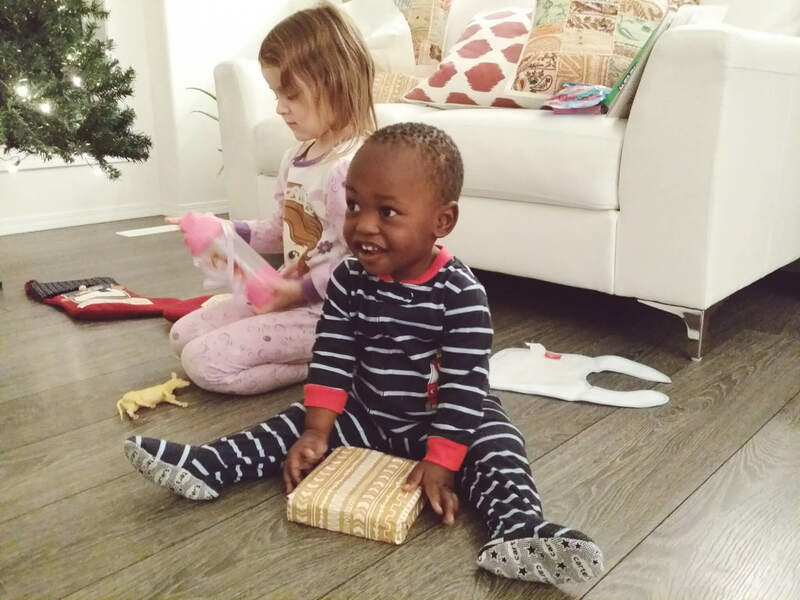 We spent a little bit of time at the home that evening and rather than going and playing with the other children Ephraim just sat in Jared’s lap. Honestly, it’s like he knew from the beginning that he was supposed to be with us. The next day, Monday, November 17th was court day. 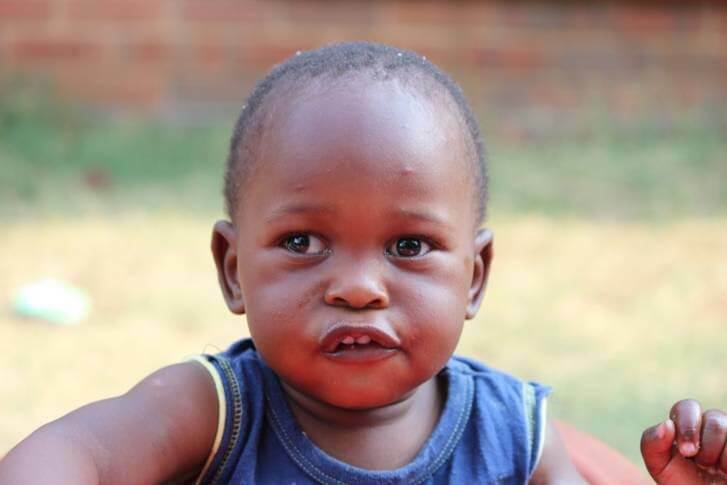 We picked up Ephraim from the children’s home. I remember I had planned on dressing him but by the time we go to the home we just wanted to get to the court as quickly as possible, the last thing we wanted was to be late. So, with Ephraim wearing this tacky orange Tiger sweater, which of course we kept and is now in our chest with all our other special momentos, to court we went. The social worker warned us that she had never worked with this court before. 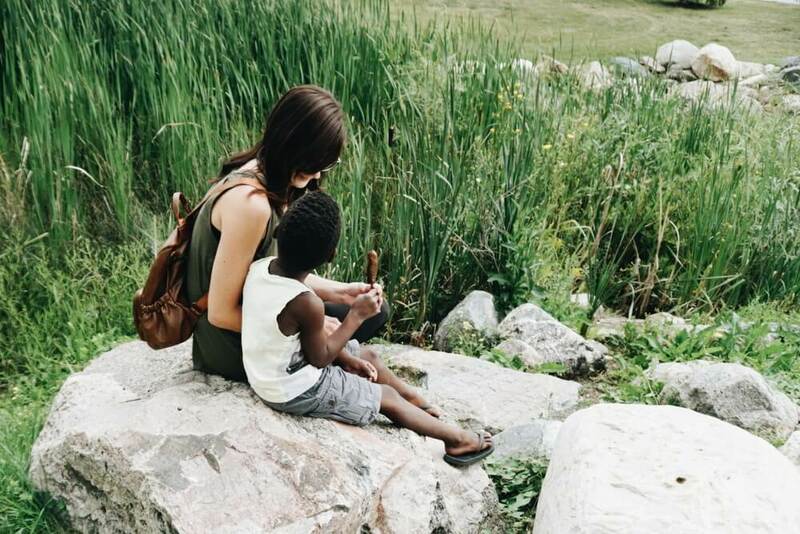 We were in a smaller city than she was used to working in and she tried to warn us that people may not like the idea of adoption. Plus, we had a judge she had never worked with before and he was black, according to her, in her experience black male judges did not always look too favorably on outsiders, especially white outsiders, coming in and adopting their children. To make matters worse, the other family that was there with us in court that day who were also adopting were a military couple, another thing not looked upon favorably. With all that information in our minds we entered the judges room pretty much completely terrified. So yeah, we passed court. After that it was a quick stop at the store for some diapers and other things you need when you have a year and a half year old and then we drove the four hours back to Durban, the city where we would spend the next few weeks completing all the paperwork and waiting for Ephraim’s Canadian citizenship and passport to come through. The next few weeks were great. The quiet boy who hardly moved the first week soon broke out of his shell and became the “lively” boy we were told about. We had a great time hanging around our B&B, meeting up with other Canadians that were also adopting, seeing a bit of South Africa and just generally being a family of four. Our family and friends continued to be amazingly supportive through the entire journey though there were many in the community (like in our church) who we found out via the gossip chain were not happy about our adoption plans. 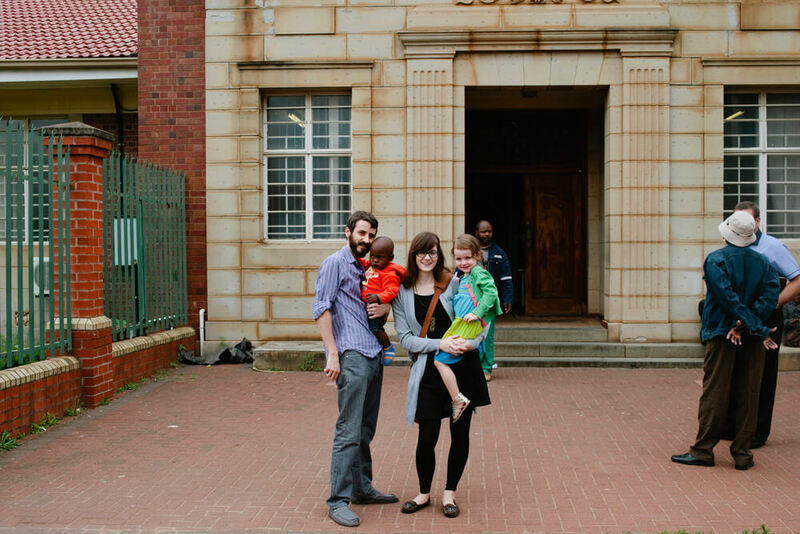 It still surprises me that we continued to attend that church through the whole adoption process. Thankfully a new church plant started up in our city the month after we got home with Ephraim and we immediately started attending, and without even realizing before hand we ended up in a community with a high percentage of adoptive families and homeschoolers, we found our people. Now, nearly four years since passing court I’m so glad I took the time to write this story out. It had it’s ups and downs but had things worked out how we wanted we never would have been given this little boy. God knew we needed him. When people ask about Ephraim they often say something to the effect of “he’s a lucky boy you adopted him” and I always want to correct them, he’s not the lucky one, we are. Wow, this ended up being a long story and yet it is still missing so many details. I hope to write a post-adoption blog post soon, if you have any questions you would like answered in that post just leave a comment below and I’ll do my best to answer them. What an amazing story. I love hearing it all over again. Jesus is so good, and his provision is so evident throughout this journey. Thanks for explaining all the adoption lingo, it helps those of us who haven’t been there better understand the process. Wow!!!! Amazing! I don’t think I’ve ever heard the whole story! And sorry for never asking! It’s truly amazing how God worked out the details for you!!! Also, that a church or the people of that church were not accepting of the idea just blows me away! I don’t get it. But I think I understand a bit of that from a different perspective. I love seeing Ephraim and raeca ride their bikes by our house and Ephraim always has a big smile! What a care free kid! Thanks for sharing an amazing story!